To grow into a deeper relationship with God means we, also, grow in relationship with each other. We don't join a church, we enter into the life of the church, which is the Body of Christ. Here are some helpful guidelines. We offer two services on Sunday mornings. In the fall, we hope to offer three services: Rite I for the early bird, a traditional service, and a contemporary service. You will find on this website how to navigate your first visit. Click on Visitor? Step Two-Fill out an information form. Sharing your contact information allows us to help you find your way into the life of the community. The office does not share your personal, confidential information.To communicate events and news, we offer a weekly enews letter and monthly eLife-line. 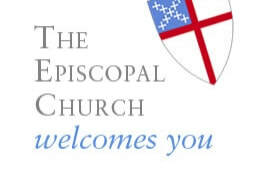 Twice a year, in the fall and spring, we offer a course over five consecutive weeks to give you an opportunity to meet the priest and other new folks and to answer your questions about the parish and Episcopal Church. Baptism is a rite of initiation into the life of community. Many people are baptized as infants, so Confirmation is offered for adults to make a mature Christian commitment. Step Five-Find a small group ministry. As Christians, we are called to grow, fellowship, and serve others. The Christian life is about giving and receiving support for our Christian journey. When you move closer to others, you will discover you have moved closer to God, too. People can give in many ways. During one of the services, you may place cash or a check in the offertory basket. Another way to give is to mail contributions to the office. All gifts are tax deductible and the church provides quarterly and yearly statements for your convenience. We believe that there is no greater joy than sharing with others. By sharing, you will bless your brothers and sisters in Christ.